I didn't win it so I bought it! I heard last year that the "experts" say you should buy yourself a little something while you are doing your Christmas shopping, it makes you feel good. I've been doing that for years! I always buy myself a few things during the season, and today my last "gift for me" arrived. 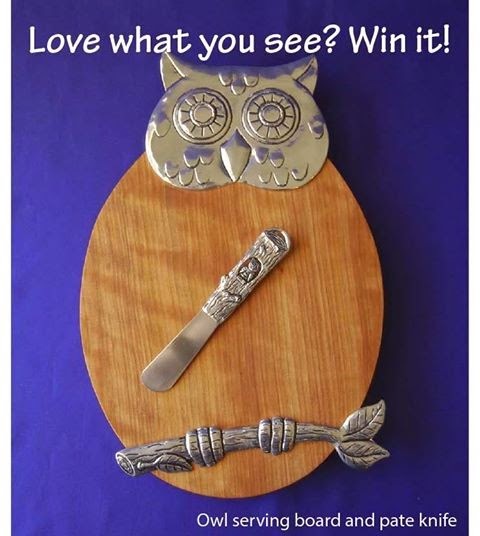 The first thing I purchased for myself this season is the above owl serving board from Jennifer's of Nova Scotia. I really did try to win it first through a Facebook contest. I can't wait to use it! Rob and I finally made a road trip to Hyde Park Feed and Country Store this past Saturday. We've been wanting to visit for over a year. We picked up loads of goodies there; local maple syrup, bees wax candles, sparkling apple cider, home made soap, and more. 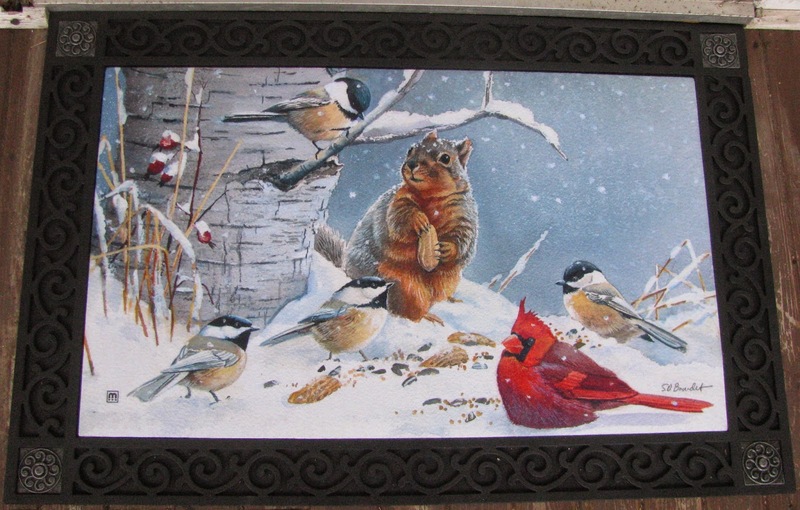 We also purchased the beautiful welcome mat pictured below. Click on the pictures for a closer look! It's too pretty to step on! 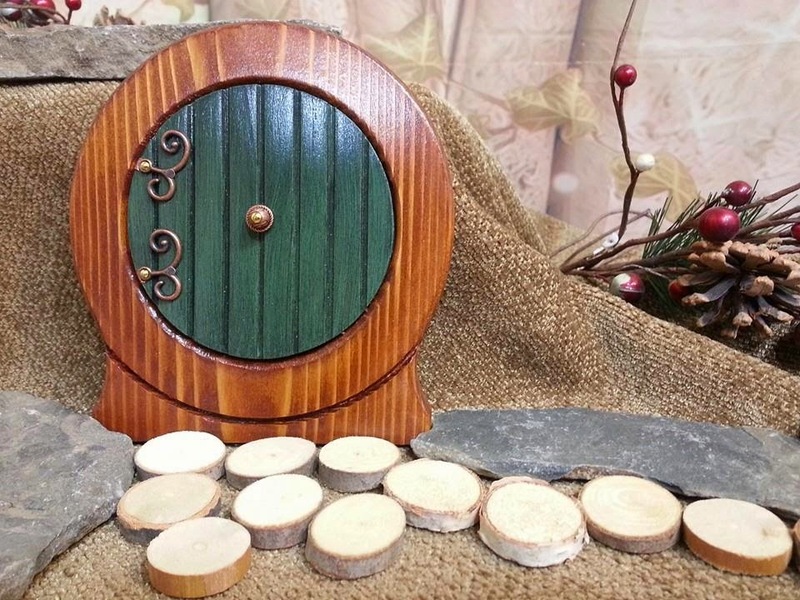 On our way back home we stopped into Featherfields where I was thrilled to purchase a Hobbit Fairy Door made by Sugar Bush Fairies. This is a picture of the Hobbit Door I have. 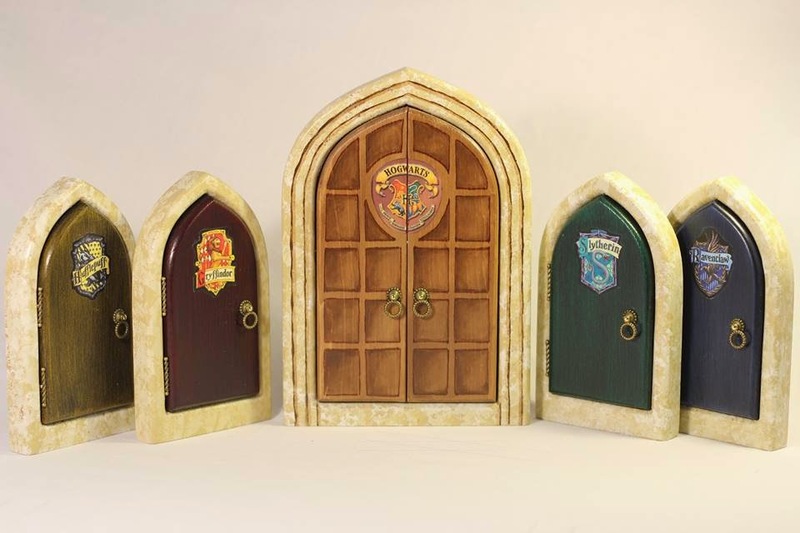 When I got home I checked out the Sugar Bush Fairies Facebook page because I hadn't in a while and my jaw hit the floor when I saw the Harry Potter series they had! I quickly got in touch with them and bought the whole set! They arrived today! I HAD to have these! If you haven't bought yourself a little something yet, I highly suggest you do! My fairies are safe, all my doors are inside! The Coopers Hawk can have the Starlings. John would love the owl andI love the fairy doors. I have treated my self to a couple of new snowmen.